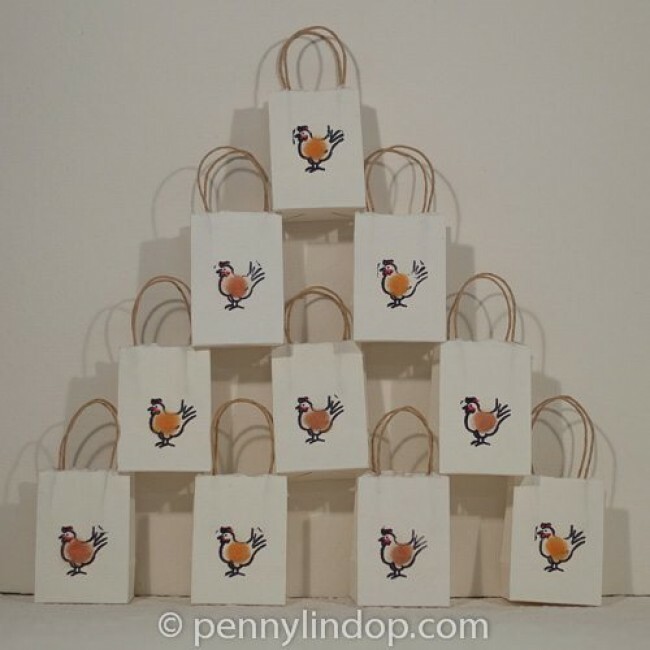 Hen gift bags - these tiny little gift bags with a fluffy hen on are perfect for a hen do. 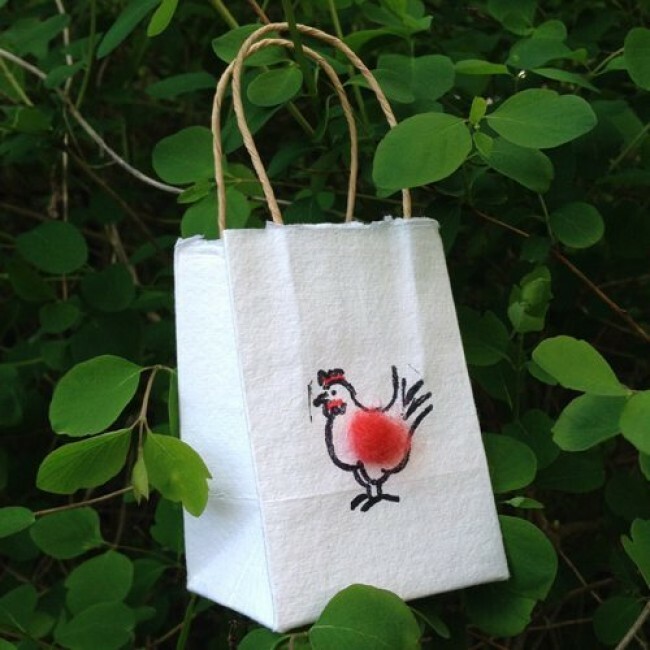 For a hen party idea, these tiny bags, with their fluffy hens, are perfect for a small but special gift. 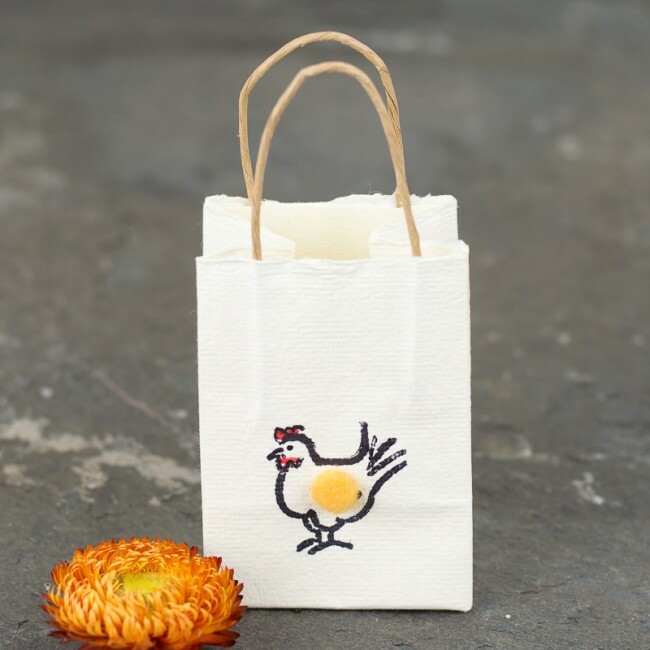 As well as a great hen night gift idea, they just fit a cream egg at Easter time too! Our gift bags are made from a handmade paper produced as part of a Water Aid project.They have a lovely rough edge along the top. All are similar but no two are identical; they are finished with a hemp string handle. We love them. 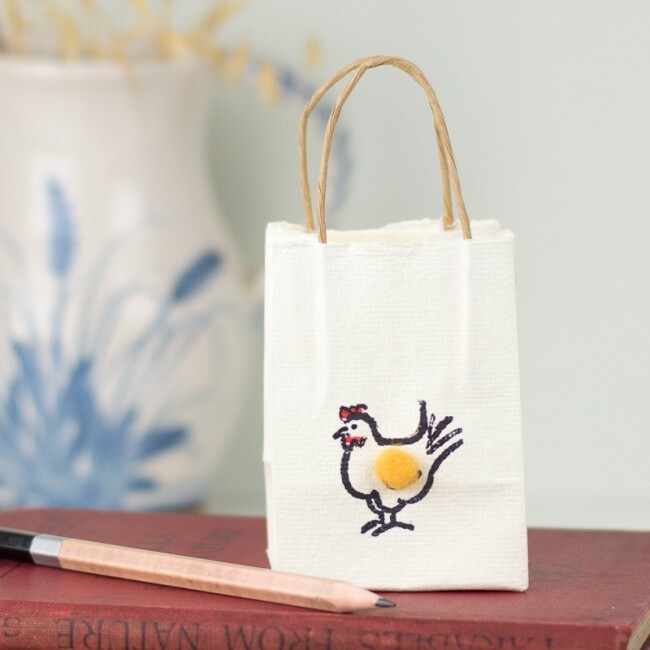 This bag is finished by us in our Norfolk studio and features a little fluffy chicken or hen - a lovely finishing touch to a gift for a chicken fancier and perfect for an Easter egg hunt - just hide them up in the trees!